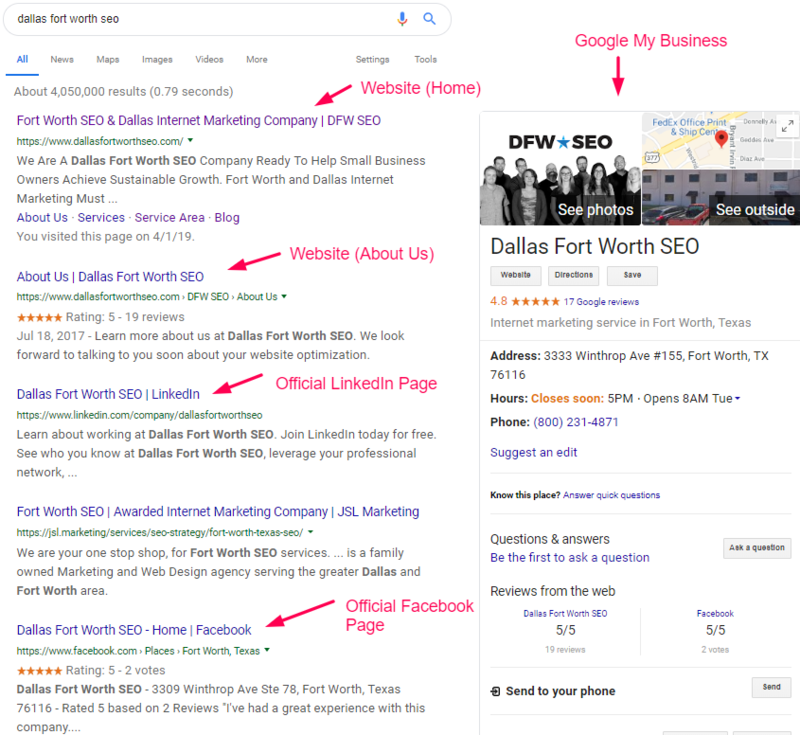 Dallas SEO is really just a fancy way of saying search engine optimization for Dallas area businesses and their websites. 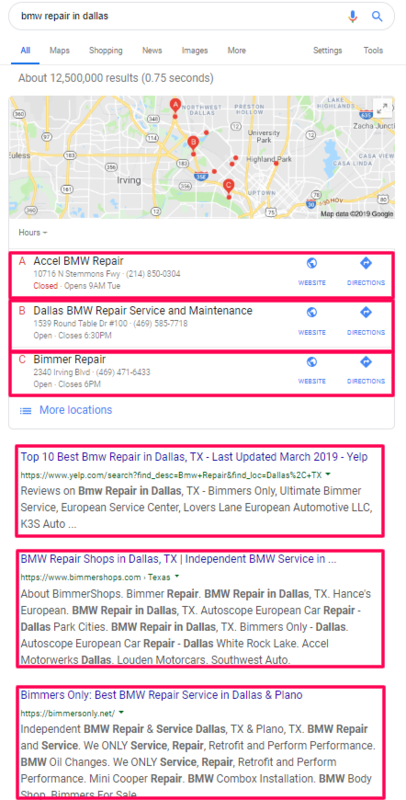 Why Do Small Businesses in Dallas Need SEO? Dallas-based businesses need SEO in order to achieve online success. The realization of success can manifest in many forms. Growing your audience is certainly one of them as is improving brand recognition and building authority within the DFW Metroplex. But the real value of SEO comes in the form of improved search rankings which lead to more clicks and more sales. Whether your company provides local services or sells online goods, SEO can help. There are three primary types of search queries (searches users type into Google). They are transactional queries, informational queries, and navigational queries. The third type; navigational queries relates to branding for small businesses. When a person who is aware of your business through other means (word of mouth, personal interaction, etc.) types it into Google they should see your Google My Business profile, Maps listing, and website on the corresponding SERP. This is made possible through SEO. 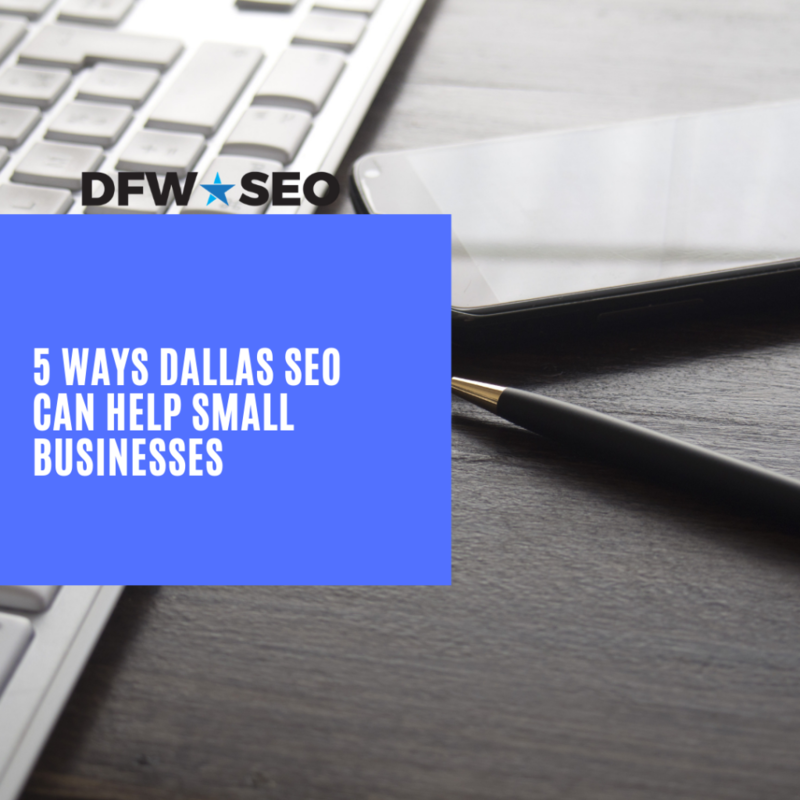 What makes SEO important for Dallas businesses in particular is that it can target a specific geographic location. Google Maps listings have become a major part of search rankings for local businesses. 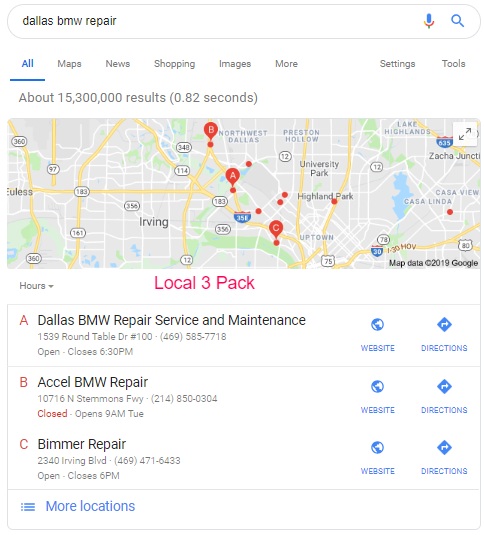 The group of Google Maps listings that appears for a query such as “dallas bmw repair” is known as The Local 3 Pack or simply; The Map Pack. Getting your listing to show up on these Packs is part of search engine optimization and specifically the variation that targets the Dallas, TX area. Organic SEO works for businesses even when they themselves are not working. Because a search result is available to the public 24/7, leads can be generated at any time. Whether the user submits a contact form entry or leaves a voicemail on your office phone line, you can reap the rewards of SEO 24/7 through lead generation. The best part of this process is that it is highly cost-efficient. While PPC ads cost money to keep in position, organic results, Maps listings, and Featured Snippets are free. For a local business to get more business they must have good reviews on Google and possibly even Facebook and Yelp as well. Generating reviews is something a business must take some ownership of themselves by asking customers to take the time to leave feedback but SEO can help streamline this process to make it more convenient for the customer. For example, the branding we spoke about earlier will make it easier for customers to find your review pages. Furthermore, embedding schema markup within your website displays an aggregate star rating within search results, making a click on the website even more likely. SEO’s purpose is to improve search rankings for a business, its website, and its other web entities. There are more ways than one to “rank” on Google, from traditional results in the top 10 to Google Maps listings, to PPC ads, etc. Even more SERP features have come to fruition in the past few years including the introduction of the Featured Snippet which is a block that answers a common search query and appears above both organic results and Maps listings as a de facto #1 position. Local SEO: Google Maps, Google My Business, Aggregate Star Ratings, etc. On-Page SEO: Title Tags, Meta Tags, Header Tags, Keyword Placement, etc. Off-Site SEO: NAP Citations, Social Media, Link Monitoring, etc. Technical SEO: Mobile Design, Schema Markup, Site Speed Optimization, etc.